The common brown onion that we use daily in our food and cultivate around the world belongs to the genus Allium with the name Allium cepa. There are a lot of ways that you can eat them, raw, pickled, sauteed, boiled, you name it. When raw, it exhibit a pungent smell but becomes savory after cooking. The onion grows twice a year but is now cultivated to grow annually. People harvest them in the autumn when the leaves die back and becomes dry. Onions contains phenolics and flavonoids that has anti inflammatory, anti cholesterol, anticancer and antioxidant properties. The content is even higher that garlic, leeks, tomatoes, carrots and red bell pepper. Romans use them to firm up their muscles. Ancient Greeks used them to lighten the balance of blood. 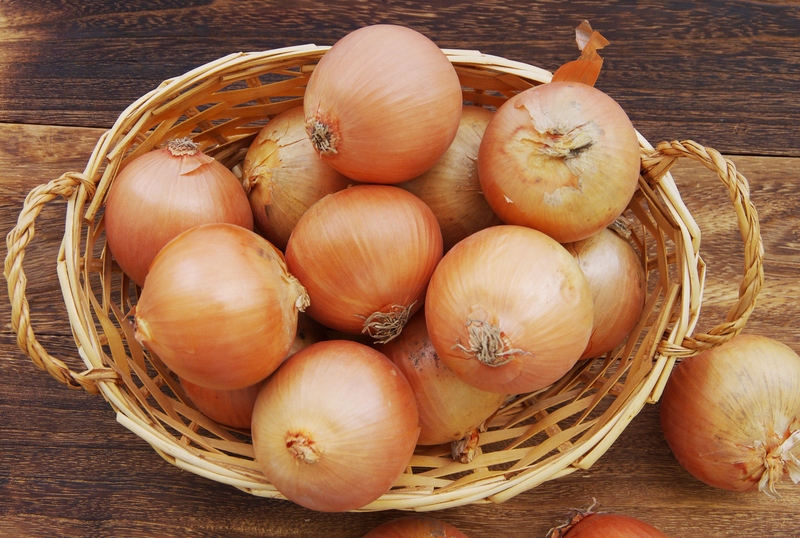 Research shows that the onion’s sulfur compounds helps anti-clotting of blood platelet cells. Moreover, it can lower blood levels of cholesterol and triglycerides. Cell membrane function in the red blood cells also works better. Doctors sees onions as remedies to facilitate bowel movements and erections, and to relieve headaches, coughs, snakebite and hair loss. 1-2 times per week intake with help reduce colorectal cancer, laryngeal cancer, and ovarian cancer. Allium cepa grows in the wild and have been bred selectively for at least 7000 years. They are native to Asia and the Middle East. Christopher Columbus brought them to the West Indies then from there the plant spread to the western Hemisphere. The leading producers are China with 20,507,759 then followed by the United States, Russian, and Spain are among the leading producers of onions. May 3, 2014 in Food Photography.